This is a book for tall people and those who care about them. 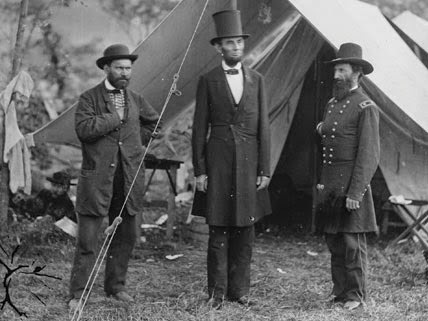 Being tall coincides with considerable professional, athletic, and social benefits. Yet there are also some problems, and these raise some questions. For instance, if longer levers and more cells really are behind increased risk of injuries and cancer, then how is it that giraffes get by? Why is it that society reveres tall stature but then compromises our safety with cramped cars and airplane seats? And why on Earth have doctors been shrinking tall women? Lastly, what can be done about all this? These questions and more will all be answered by a tall protagonist over six chapters: Evolution, Ergonomics, Spine, Growth, Longevity, and Society. This is a book for tall people and those who care about them. Whichever your tall affinity, I’m confident you’ll find this book both interesting and helpful. At 6’7”, I too happen to be tall—as per the graph below—which is pretty much a prerequisite for the author of a book such as this. Much to the bewilderment of numerous total strangers, I do not play basketball—at least not well. Rather, I played volleyball, another sport we tall people enjoy a wonderfully unfair advantage at. I first started playing at the beginning of high school, right after a huge growth spurt rendered my limbs long, lanky, and unfamiliar. Given my total lack of skill and coordination, the coaches must have taken me on height alone—only to warm a variety of benches. But soon enough, I learned how to best take advantage of my height, eventually becoming the MVP and making the provincial team. Volleyball gave me a kind of purpose to my height, making me proud to be different. And years later, I can trace back countless positive aspects of my life stemming from my time on the court. Being tall can open many doors for you, like it did for me. The trick is not knocking your noggin on the way through, which I did. You see, I had no clue that our taller bodies come with a higher risk of musculoskeletal injuries. It wasn’t in a manual. So like most tall people, I ended up with more than my fair share of injuries—ankle, hip, and shoulder injuries as well as a case of jumper’s knee that cut my volleyball career short. My worst injury was to my back, and this put my life on hold for several years. I saw a plethora of specialists about it. Only a few recognized that having long levers was a risk factor for back problems. What no one seemed to pick up on, however, was that poor ergonomics might have had something to do with it too. When all manner of objects are designed for average height people, we have to hunch over, inadvisably flexing our spines. I really didn’t think much about this when I was younger. Growth happens gradually, and it’s hard to notice stuff gradually no longer fitting. And as adults, we rarely have something proper fitting to compare it to. There is an astounding lack of recognition of our ergonomic plight. So I decided to take matters into my own hands. I started modifying all the short stuff I was interacting with. I raised my desk and office chair, extended tool handles, adapted parts of my house, and even made modifications to my car. I’ll explain all this in Chapter 2, Ergonomics. I also worked hard at building a stronger back that could hold better posture and avoid injury. For this, I was fortunate enough to have some excellent yoga teachers as well as the opportunity to learn from the world renowned spine researcher, Stuart McGill. I’ll share my learnings with you in Chapter 3, Spine. These improvements, along with greater awareness, paved the way to my recovery. A decade later, I still have bouts of back pain here and there, but these are short-lived. I am so incredibly grateful that I can carry my baby boy around pain free! Being somewhat entrepreneurial, which happens to be common for taller people, I had the idea that I would start a company making and selling ergonomic products for tall people. I’m certain a lot of us have had this same idea, as the need is obvious. But given how few of us there are, it’s not exactly the most lucrative venture. Just imagine pitching it to the investors on Shark Tank, and you too might cringe. Don’t get me wrong—I haven’t given up. To put it gently, I’m enraged that our society neglects tall people. Something needed to be done about it. I decided the more feasible way to begin was with a blog showing other tall people how to adapt existing products to better suit us. In my search of things to adapt, I started to notice more products that are inadvertently made suitable to us, and others that are actually made for us in the first place, but are just hard to find. For example, there’s a variety of extension products for lawnmowers, wheelchairs, strollers, and even car seat rails. I started writing about these as well. And some companies started seeking me out too. For instance, niche tall specific clothing startups wanted me to help them get the word out about their products, and sent me some to try out. Prior to this, I never ever imagined I would find myself modeling clothing. After all, I’m a mechanical engineer with little fashion sense. I do have to say, though, it’s nice finally having some clothes that are actually designed to fit particularly tall people. 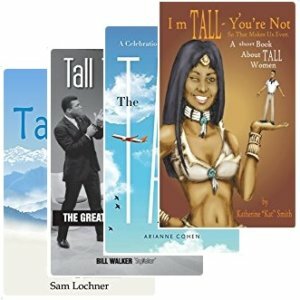 Immersed in the world of tall, I began to realize just how fascinating the topic of tall stature really is. There were so many intriguing questions that I wanted answered, like how is it that we grow tall in the first place and why are there so few of us (Chapter 4, Growth)? And is it true that to be tall is to live short, because I always figured tall people were healthier (Chapter 5, Longevity)? And how does being tall affect our roles in society, including in the workplace and the dating pool (Chapter 6, Society)? And if longer levers and more cells really are behind increased risk of injuries and cancer, then how is that giraffes get by (Chapter 1, Evolution)? To answer all these questions, I started digging into various scientific fields. I talked with experts as well as tall people around the world, even finding myself in an interview on Huffington Post with the tall lady stars of My Giant Life. I also drew on my own knowledge from my education and career involving biomechanics, anthropometry, product sizing, and mass customization. It became clear to me that being tall affects nearly every aspect of a person’s life. A new name for the project was in order—Tall Life. In addition to the website, www.Tall.Life, I eventually decided it warranted a more sequential rendition too, which is the book you now have in your hands. I’m aware that tall people have vastly different experiences with their height. For instance, not all tall people will find back pain as much of an issue as I do. Yet there will certainly be a lot of common ground too, much of which I hope to have covered throughout the book. But if you feel there is anything missing or anything I could write better about, please reach out to me via the website contact page. This is a self-published book that I plan to keep updating over the years. It’s a labor of love. I sincerely hope you find it both interesting and helpful. Love the update! Thanks Sam. I will read it with great eagerness. Tall greetings from Mark at Six8 Clothing.